Obituary for Jerry Lee Weaver | Fletcher Funeral & Cremation Services, P.A. 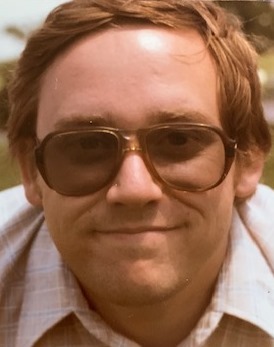 Jerry Lee Weaver, 66, of Hanover, PA, passed away on Saturday, January 19, 2019, at his home surrounded by his family following complications of a brief illness. Born September 8, 1952 in Glyndon, he was the son of the late Mary (Combs) Weaver and George H. Weaver. He is survived by his beloved wife of 46 years, Phyllis A. Weaver. He graduated from Franklin High School, received his AA degree from Catonsville Community College and went on to work in the Information Technology industry for nearly 50 years. He loved to play the guitar, watch classic western, adventure and horror movies, travel throughout the country with his family and work on various projects focusing on topics like carpentry, masonry and automotive repair. Besides his wife, he is survived by sons and daughters-in-law, Jeffrey J. Weaver and wife Lisa of Westminster, MD and Brooks P. Weaver and wife Melanie of Alexandria, VA; a brother Lonny H. Weaver of New Windsor; a sister Terry Manes of Orange, CA; grandchildren Jennifer and Bryan and brother-in-law Andrew J. Wildman of Westminster. Also survived by other family members and many friends. The family will receive friends on Saturday, February 2, 2019 from 12 to 2 p.m. at Fletcher Funeral & Cremation Services, 254 E. Main St., Westminster. Celebration of Life Services will begin at 2 p.m. with Charles Shipley officiating. Memorial contributions may be made to SpiriTrust Lutheran Foundation, 1050 Pennsylvania Ave., York, PA 17404.